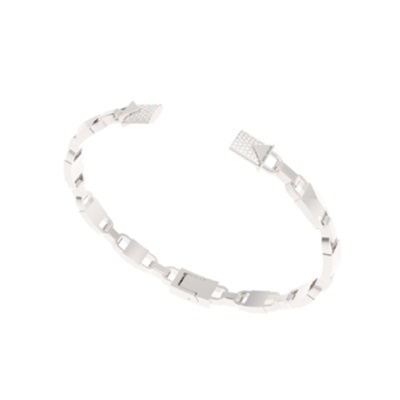 This open hinge bangle showcases a linked design inspired by the iconic Mercer lock. ItÆs crafted from sterling silver, features sparkling pav? accents and measures 2" x 2.25" in diameter.